Washington, D.C. (Wednesday, April 10, 2019) – After weeks of silence, the music is back on at the MetroPCS Store at the corner of 7th Street and Florida Avenue, NW. DC Community Activist Ron Moten made the announcement at a 12p.m. press conference today as supporters crowded around to the sounds of Chuck Brown blasting in the background. 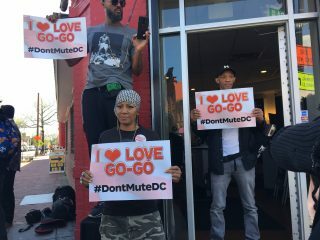 Over the past several days, a ground swell of support formed to denounce a decision by T-Mobile, the parent company of the MetroPCS Store, to shut off the music. 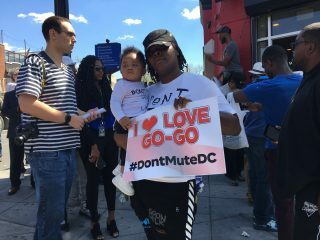 The backlash formed on social media with the #dontmutedc, which was started by a Howard University student. “I’m happy to say that it wasn’t just Black people who came together. It was everybody who came together to say we got to do the right thing for the right reasons to get the right results to address the issue of gentrification,” said Moten. Don Campbell, the owner of Central Communications, a MetroPCS vendor, had been playing the go-go music outside of the store for nearly 25 years. “I want to thank everybody for helping to get the music back on. Now, we just want to get back to selling cellphones and CDs, Campbell said. 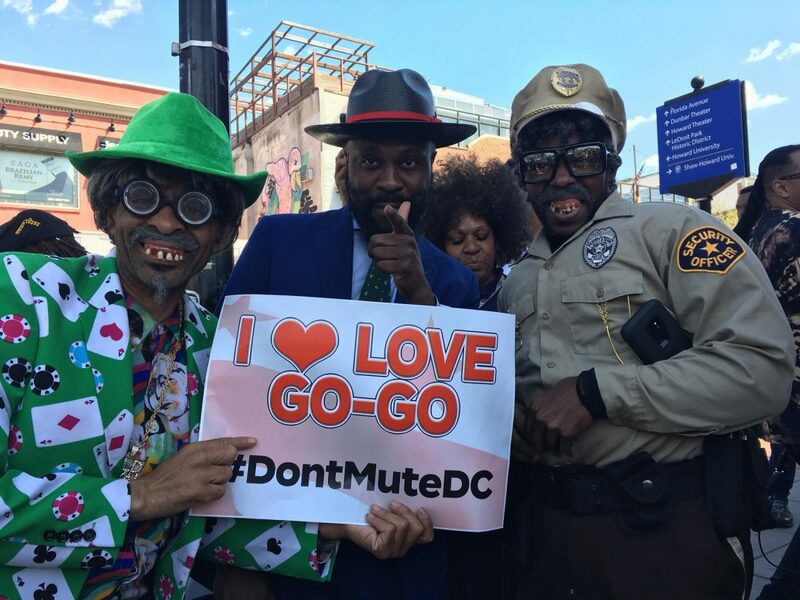 The #dontmutedc campaign even had local politicians, including Mayor Muriel Bowser, Ward One Councilmember Brianne Nadeau and At-Large Councilmember Robert White weighing in on social media and working behind the scenes to get T-Mobile to reverse its decision. While activists are happy that things can return to normal at the corner of 7th and Florida Avenue, they vow the fight is far from over. “Black businesses are under attack by gentrifiers. They move into our community like they have good intentions and once they come in they try to push us out.” Moten added. A townhall meeting is planned for later this week to address gentrification and a Go-go Celebration will be held Saturday at the store. It was a complaint from a nearby neighbor at one of the luxury apartments that propelled T-Mobile into action to force MetroPCS to shut-off the music late last month. Here’s the press conference announcement in its entirety with WHUR’s News Anchor Taylor Thomas.